Closeout. 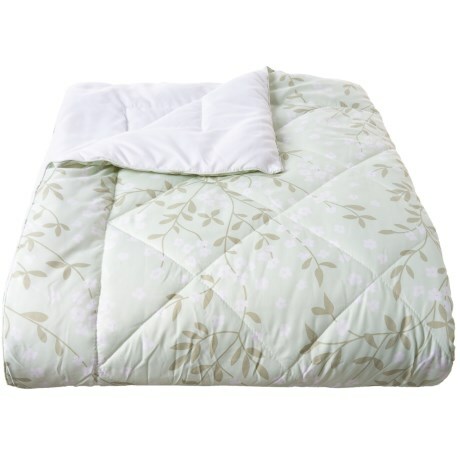 The colorful floral print and supersoft fabric of Keara Collectionand#39;s Floral Vines down-alternative Full-Queen blanket makes a lovely addition to your bedroom or guest room. Available Colors: AQUA. Sizes: FULL/QUEEN. Closeout. The colorful floral print and supersoft fabric of Keara Collectionand#39;s Floral Vines down-alternative King blanket make a lovely addition to your bedroom or guest room. Available Colors: AQUA. Sizes: KING. Closeout. The colorful floral print and supersoft fabric of Keara Collectionand#39;s Floral Vines down-alternative Twin blanket makes a lovely addition to your bedroom or guest room. Available Colors: AQUA. Sizes: TWIN.